DISCO for 12 year olds!! Every once in a while, people ask us when a kid is too old to party at the COOP. 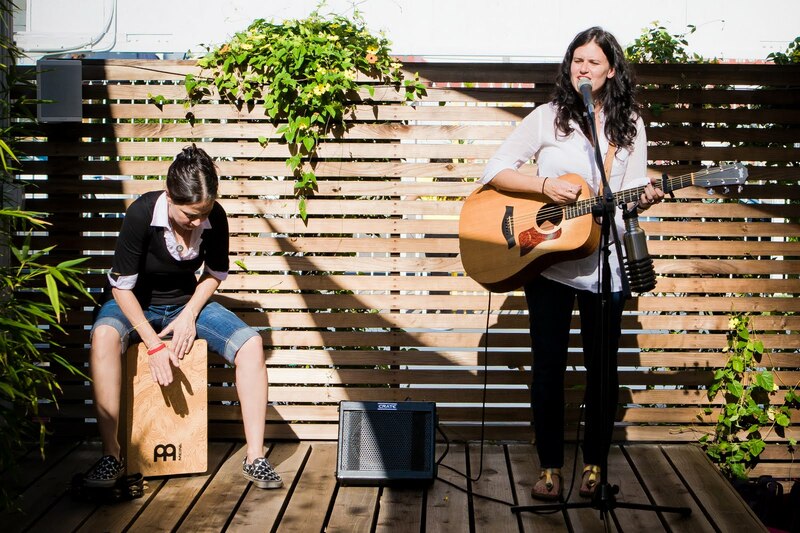 We stand by that you are NEVER too old to play and party at our fabulous space! We have done 50 year old parties, 30 year old parties, cocktail parties, 16 year old parties, 13 year old parties -- and on and on down the line to baby showers (I guess that would be considered a 0 year old party!!) While we may not be the first place you think of when you are thinking of an older child -- it's a great choice for the tween set. Our space is really special at night (the lighting is amazing!)... and we don't think anyone is too old for a bounce or a dive into the ball pit! This is a good example of an "older"party we did recently. 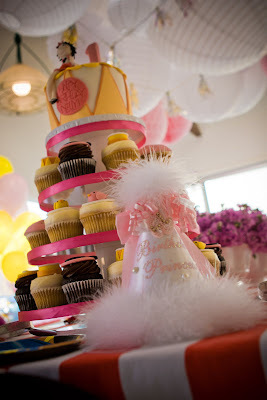 We did this lovely chic Disco party for a gorgeous little 12 year old and all her fabulously fun -- super high energy -- friends! The birthday girl LOVES purple (had a purple dress for the occasion, in fact!) , so we used that as our jumping off point. Everyone got purple boas, silver wigs and "elvis- style" silver glasses with purple lenses. I actually spied one of the boys wearing his shades at school the following Monday... that's a sign of a good party favor!! The birthday girl is NOT very into pink -- so I didn't use the bright multicolored "disco" table runners -- and instead went for a simple chic burlap table covering. 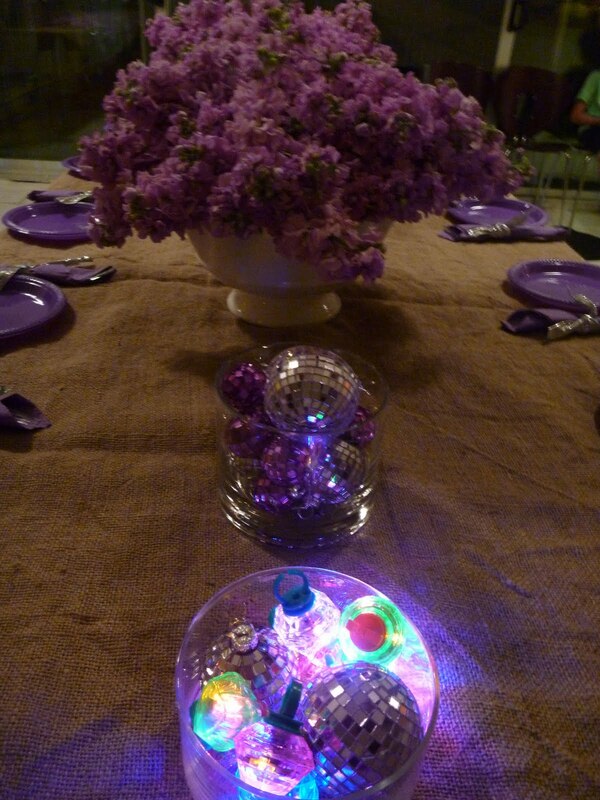 Also on the table are the gorgeous flowers I did for the occasion, and a couple of vases filled with mini mirrored silver and purple disco balls, and 2 small vases filled with flashing light rings (that the kids also got to wear and take home!) it was such fun -- all the kids really had a blast (and my shy little 3rd grader actually got to hang with the cool 6th graders for a bit before I left the party in our fabulous COOP staff's hands!) Win/ win all around!!! 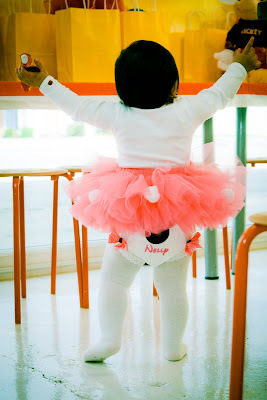 When this client first came to us -- she wanted a Mickey Mouse theme party for her young daughter. We decided on Red tutus for the girls, and red capes for the boys as the "main" part of their gift. Then everyone would also get white gloves (just like Mickey himself), a Mickey Sippy Cup and Mickey ears for all! 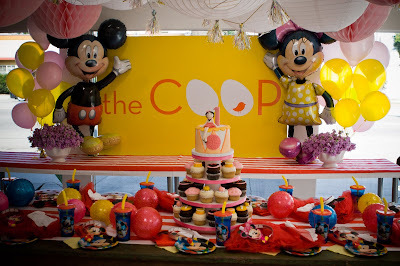 Such a cute and chic way to do a mickey party... I mean, who DOESN'T want a red tutu or cape, right!? We were all set to go when -- 3 days before the party,mom hit us with the fact that she wanted to incorporated PINK into the mix ! Enter MINNIE!!! 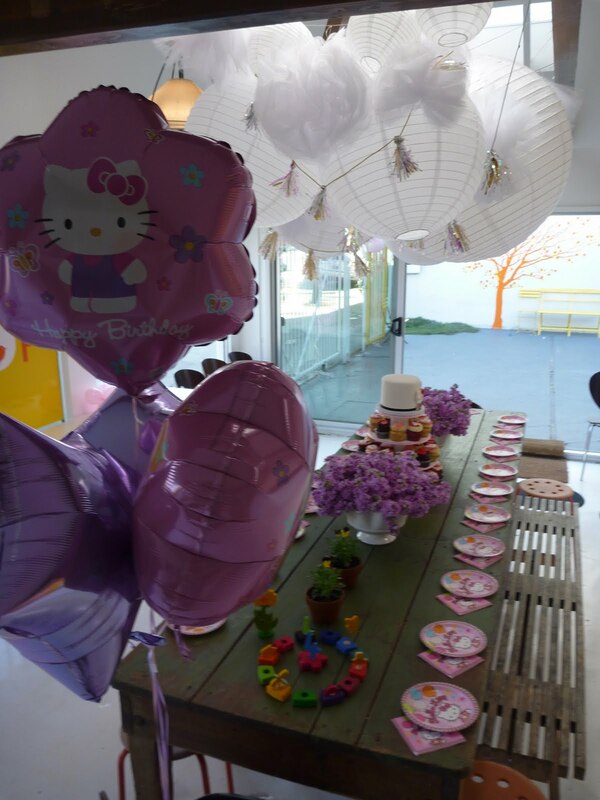 We added Pink and yellow accents -- balloons, hanging paper balls to "girlie" up the party for her.... and I actually think it turned out quite nicely. 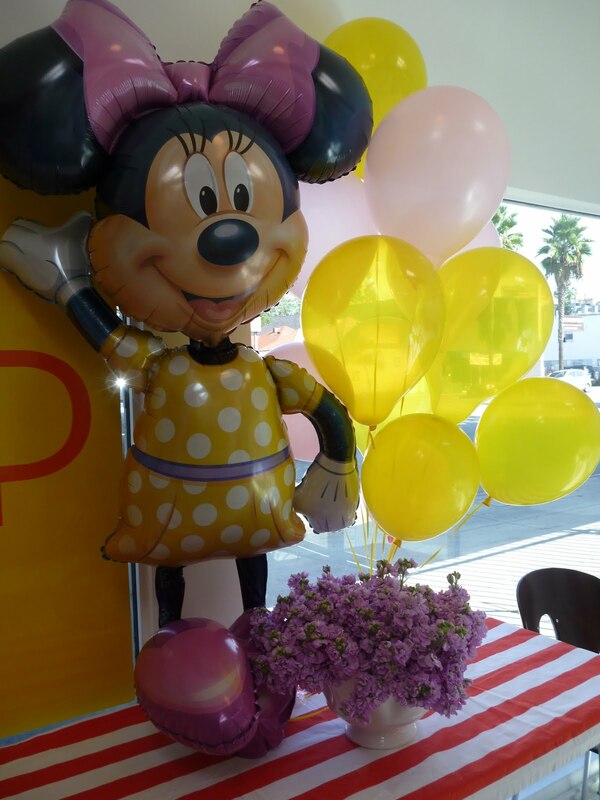 The Jumbo balloons really help welcome everyone into the main lobby.... and how can you not ADORE that little Birthday girl's outfit! Just darling. 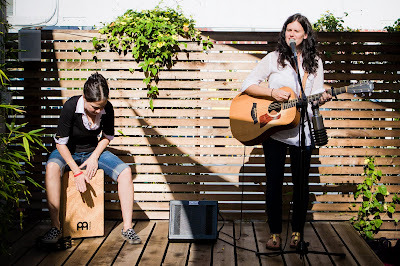 We had a wonderful musician (Melissa Green) outside on the patio playing for the kids... and again -- our fabulous Julie from Blue Cupcake provided the wonderful cake and cupcakes. Mickey -- gone girlie at the last minute! 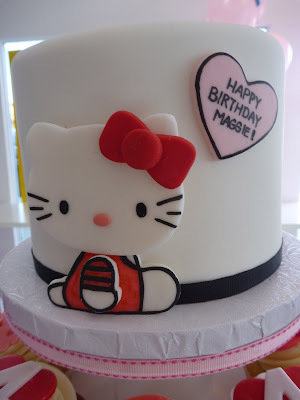 It turned out really cute... and everyone was VERY pleased! I couldn't resist posting pics of this one. 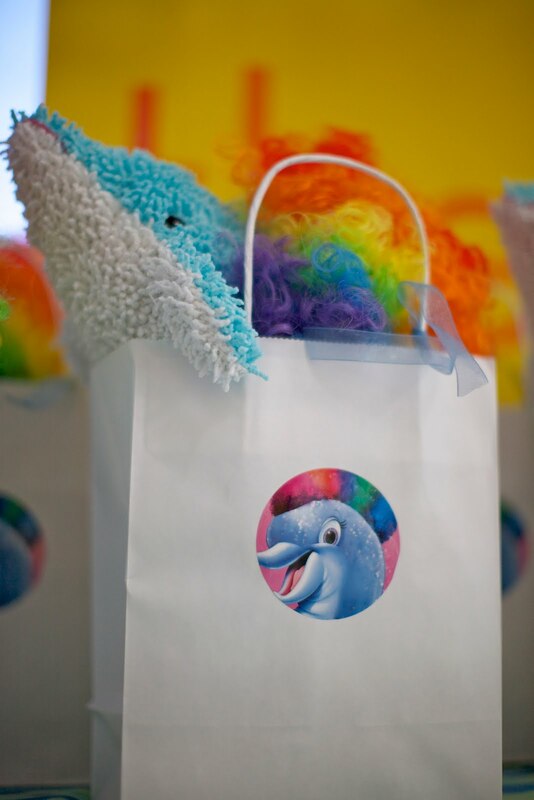 It's not one of our theme parties -- so we didn't do any decorations or gift bags for this one. I basically am posting just to show how amazing -- once again -- the fabulous Julie from Blue Cupcake is at making super gorgeous cakes and cupcakes. She did this Hello Kitty tower for our client and we think it just turned out beautifully! So gorgeous -- very chic... and the BEST thing about blue cupcake is that - no matter how gorgeous presentation, everything she makes actually tastes BETTER than it looks. No small feat for such gorgeous looking goodies! I also love how our gorgeous purple arrangements compliment the table so nicely for this party.... How lucky was Maggie's mommy to find THAT gorgeous surprise when she waltzed into the COOP!! Well.... here at the COOP we pride ourselves on the fact that we can make ANYTHING a theme party! And we think this party is pretty good evidence of that!! Gracie was turning 5.... and she had VERY specific ideas of what kind of party she wanted. 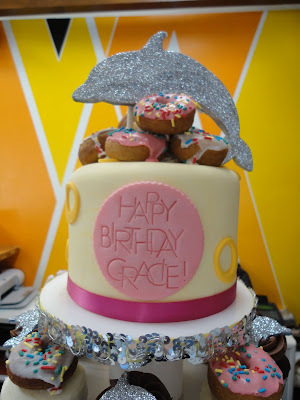 So much so, in fact, that when I was at her house one day (she's the daughter of one of my good friends) she and I were talking about her upcoming BDay -- and she was telling me that she wanted a "Dolphin, Donut, Disco" party. Ever the party planner, I immediately started throwing out ideas... "we can do this.... or this -- wouldn't it be cool if we did this?" I kid you not -- she looked me dead in the eye and said "When we are on a playdate at YOUR house -- we can talk about YOUR ideas.... right now, we are going to talk about MY ideas" I adore her. 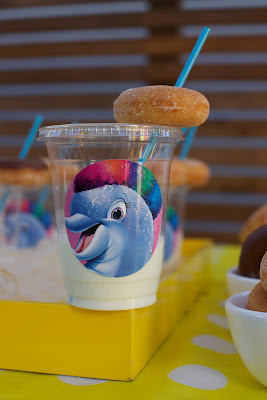 Thus began the planning for the fabulous Dolphin Donut Disco party you see above! Gracie's mom had these super cute invites made with the dolphin wearing a rainbow afro wig sitting atop a heap of donuts -- and off we went! I grabbed the image of the dolphin off the invite and had stickers made for all the goody bags, We did a really cool opalescent crinklie tablecloth all bunched up down the middle of the main table -- which looked like water (very cool)... on which we placed the AMAZING cake created by the insanely talented Julie from Blue Cupcake (she is seriously a goddess when it comes to cakes and cupcakes.... all sweet treats, actually!) and some vases filled with all kinds of candies in shades of white and blue. The goody bags were filled with a plush dolphin, a rainbow disco wig (we tried to make it look like the Dolphin was wearing the wig as he peeked out of the bags), a disco ball necklace and a cool dolphin mobile. We had a Bubble guy come and do a show in the lobby -- and then the kids had a free for all bubble fest out in the courtyard area. Super fun! 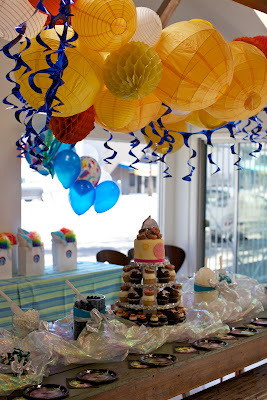 We also filled the bouncer with clear and different shades of blue balloons -- as well as some mylar dolphins too! It was great. My absolute favorite element was the milk and donut cups -- clear cups with a theme sticker on them, filled with a shot of refreshing milk with a mini Krispy Kreme Donut looped on the straw! 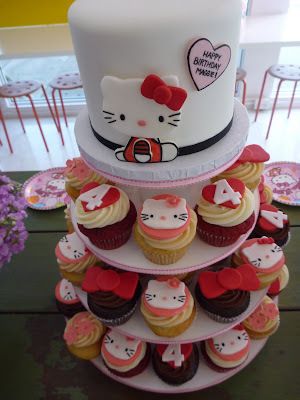 So cute ... so delicious! Hope you enjoy the pics! We have had not one, but TWO Thomas the Train parties over the past two weeks -- so I think we better post some pics! It is clearly a hot theme right now! We used our fabulous red and white striped tablecloths which add a nice shot of color AND are reminiscent of railroad tracks... which is a cool bonus! 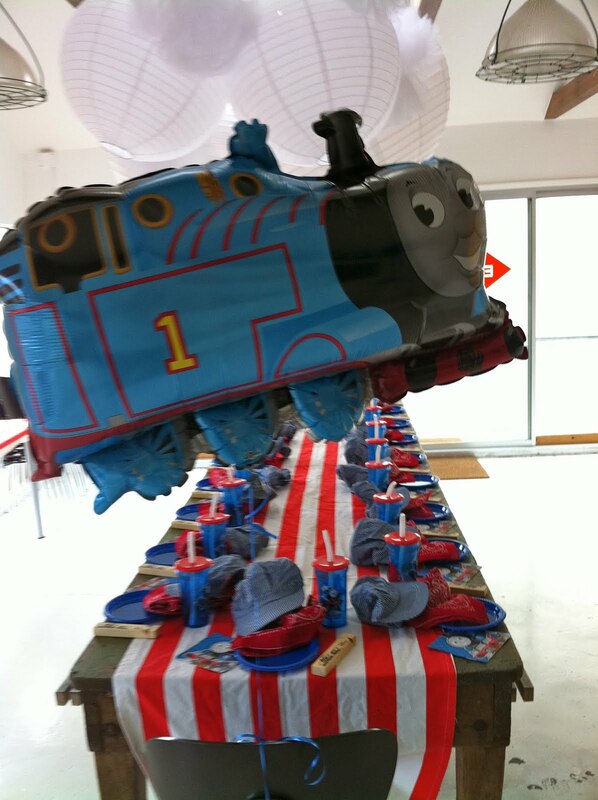 As with most of our "branded" parties ... we kept the really branded items minimal (balloons, plates, napkins) -- and went for a cool train engineer inspired gift.... Engineer cap, wooden train whistle, red bandanna and a Thomas the Train sippy cup. The gift is great because it is gender neutral -- which is easier and also lends itself to a more cohesive overall look to the party. Thomas is loved by boys and girls alike -- so much so, in fact, that one of our Thomas parties was for a birthday boy, and the other was for a birthday girl!